The word, meaning and value of a Celebrant are generally unknown to most Ontarians. This piece intends to change that by providing a very basic outline about celebrancy and in particular, wedding celebrancy. 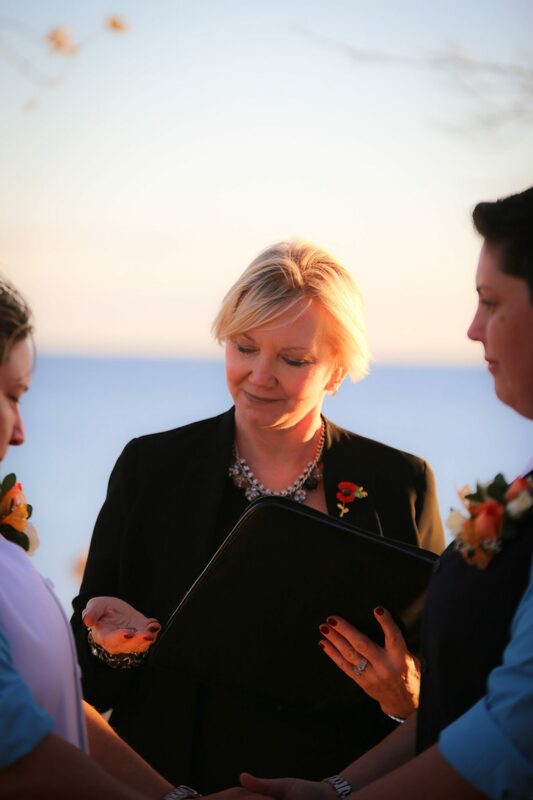 Quite simply, a Wedding Celebrant is a ceremony specialist trained to write and create personal, memorable and meaningful ceremonies for weddings and vow renewals as well as baby namings, funerals and memorials. Celebrancy is not a one size fits all service. Couples entering into a marriage are often unaware that there are Wedding Celebrants out there who can create a wedding ceremony just for them; a ceremony which will be true to their journey together as a couple, inclusive of family and friends while at the same time encompassing their lifestyle and beliefs. The most special part of a ceremony created by a Wedding Celebrant is that it is completely custom written from start to finish for the couple. The ability of a Wedding Celebrant to personalize is the key to an engaging and relevant wedding ceremony. Celebrants also are able to meet the increasing demand for non-religious wedding ceremonies providing a personal and inclusive ceremony which can be small and intimate or lavishly conducted on a grand scale. A church setting, for example, is not required to ensure the romantic nature and beauty of the wedding ceremony. However, using a Wedding Celebrant at any ceremony does not mean that it cannot include a religious component. Celebrant ceremonies are inclusive of all beliefs and cultures. Many Certified Celebrants are also non-denominational Ministers. Different elements are often added to the wedding ceremony including traditions from other cultures, religions and times past full of symbolism to make it really special. Celebrant ceremonies can also incorporate a particular theme which is of importance to the couple and their lifestyle. The only mandatory words to be spoken at a wedding ceremony are actually very short, as prescribed by the Marriage Act of Ontario. The sky really is the limit on all other desired inclusions to the ceremony. Celebrancy is a cultural phenomenon in the English-speaking world and in particular, the United Kingdom, United States, New Zealand and the place it all started, Australia. Indeed, the Australian Board of Statistics notes that celebrants have conducted most marriages in that country since 1999 and in 2013 civil celebrants conducted 72.5% of all marriages. It is important to note that there are many celebrants in British Columbia operating successful celebrancy businesses. However, Ontario and certain other provinces have been left behind in the celebrancy movement. As far as our French speaking citizens are concerned, there are many Celebrants working in France and in turn, the trend is slowly spilling over into Quebec. 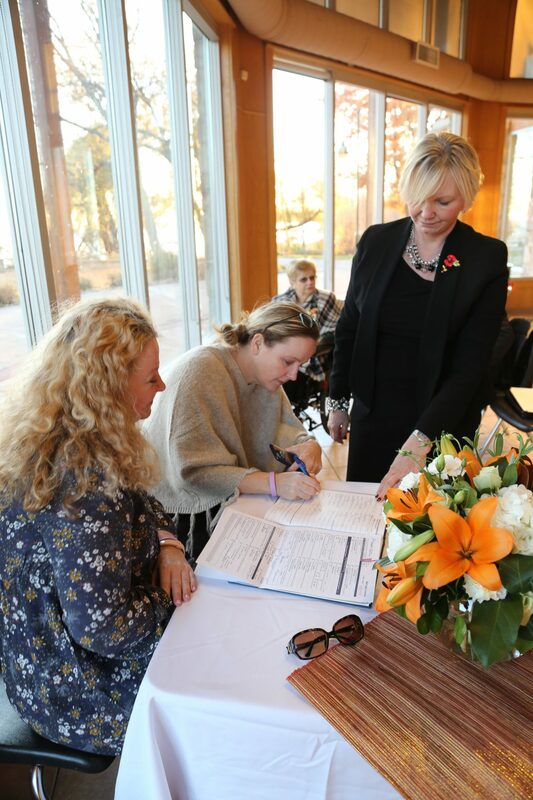 It should also be noted that the type of In-depth celebrancy training required to work as a celebrant at this time can only be obtained outside Canada, and in particular, from the United Kingdom and United States. The best news of all is that celebrancy provides components to a wedding ceremony which have not been readily available in the past. Now in Ontario and beyond we have a meaningful, memorable and rewarding alternative wedding ceremony choice available to all couples. Most importantly, “cookie cutter” ceremonies can be tossed aside. Please consider using a Wedding Celebrant to create the wedding ceremony of your dreams and pass the word along on to your friends, family and clients. Once a celebrant ceremony is observed, the celebrancy difference will speak for itself. Written by Aileen Dockerty and originally published by The Wedding Opera.